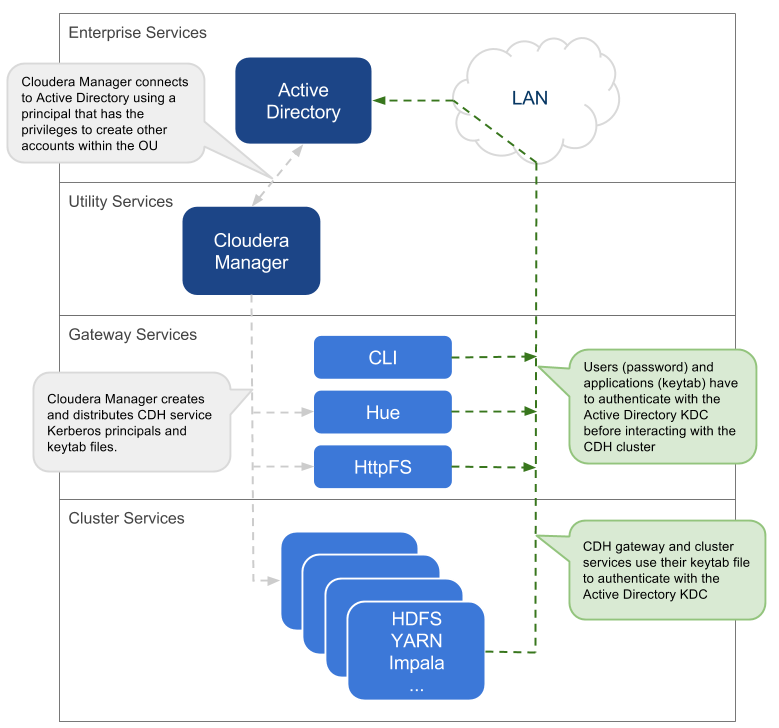 For enterprise components such as Cloudera Manager, Cloudera Navigator, Hue, Hive, and Impala, that face external clients, Cloudera also supports external authentication using services such as AD, LDAP, and SAML. 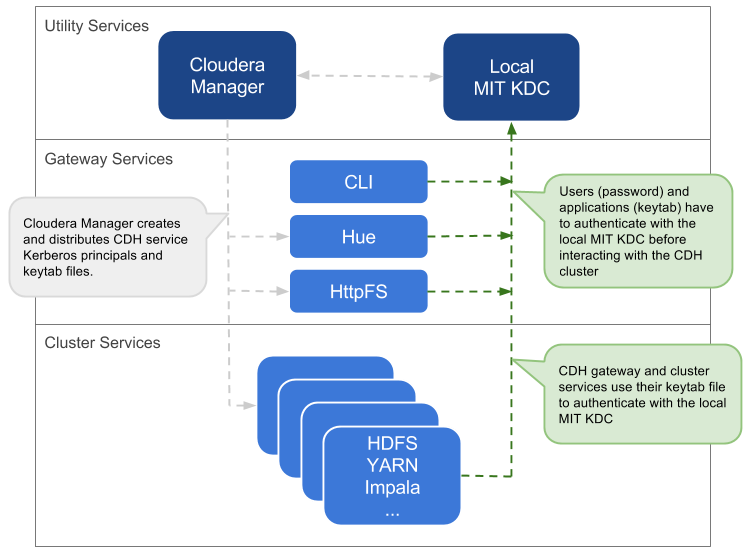 For instructions on how to configure external authentication, refer the Cloudera Security Guide. As your cluster grows, so will the volume of Authentication Service (AS) and Ticket Granting Service (TGS) interaction between the services on each cluster server. Consider evaluating the volume of this interaction against the Active Directory domain controllers you have configured for the cluster before rolling this feature out to a production environment. 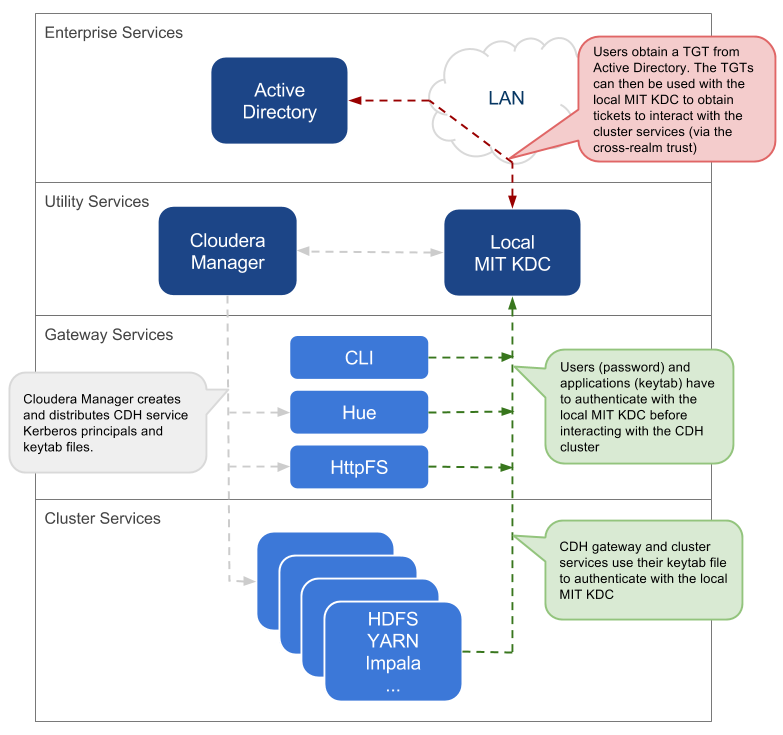 If cluster performance suffers, over time it might become necessary to dedicate a set of AD domain controllers to larger deployments. Cloudera recommends you use a dedicated AD instance for every 100 nodes in your cluster. However, note that this recommendation may not apply to high-volume clusters, or cases where the AD host is also being used for LDAP lookups.